We offer a range of exciting group exercise classes to suit all people of all abilities. Our qualified instructors deliver the programme at venues across the centre these include main studio, multi activity room, spin studio, sports hall and pools. Our class timetable is a very popular part of the centre. We offer a fantastic variety of classes for all ages and abilities which are included within our membership package or can be accessed on a pay as you go basis. On arrival please check in at customer services where you will receive a ticket for class entry, which then needs to be handed into the instructor. Notify the instructor of any illness, injury or medical issue that may be affected due to exercise. It is important to wear the correct footwear and clothing for the class your are participating in, and a small towel to place on the studio mats. Under 16s will not be permitted into group exercise classes. BODYPUMP™ is a weights class for absolutely everyone. Using light to moderate weights with lots of repetition (reps), BODYPUMP gives you a total body workout that burns lots of calories. Circuits is a multi-station workout for all incorporating strength work, agility drills and core stability training. Sculpt & Tone is a well rounded workout using free weights and your own body weight to strengthen all major muscle groups; designed to define, shape and tone your body! Zumba is an effective exhilarating, Latin inspired, easy to follow, calorie burning dance fitness party. Spin Cycling is an indoor cycling workout with music taking you on a gruelling journey through flats, hills, speed racing and intervals, covering an average of 25kms. Step & Tone is a toning and conditioning workout using a step. If you are looking to tone and tighten those stubborn areas then this class are definitely for you. BODYCOMBAT™ is a high energy martial arts-inspired workout. You’ll learn how to punch, kick and strike your way to superior fitness and strength. Yoga is a gentle class involving stretching and relaxation. it concentrates on bringing balance and harmony to both body and mind through posture and breath. Pilates is a popular mat workout focusing on core strength, body alignment and muscular balance. BODYBALANCE™ is a new yoga class for anyone and everyone. It uses a range of movements and motion set to music that will improve your mind, your body and your life. Dynamic Yoga is a more vigorous yoga incorporating dynamic postures as well as meditation to relax and regenerate the body. Aqua Zumba There is less impact on your joints during an Aqua Zumba class so you can really let loose. Water creates natural resistance, which means every step is more challenging and helps tone your muscles. Aqua Circuit is a unique class which uses different pieces of equipment to provide a resistance training workout in the water. Active Bodies is a fun sociable session that involves gentle aerobics and finishes with a strength and flexibility section. Please wear supportive trainers. Active Balance is of benefit to those looking to strengthen their bones and muscles. Appropriate for those with osteoporosis or arthritis. is a brand new innovative exercise class designed to enhance and enrich your life. A gentle but effective workout that flows smoothly through movements designed to improve mobility, flexibility and balance. Medication in motion. Zumba Gold is an easy-to-follow Zumba choreography that focuses on balance, range of motion and coordination. Come ready to sweat, and prepare to leave empowered and feeling strong. All lockers require a padlock up to 8mm. Guests can either bring their own padlock or purchase one at the customer service desk for £4. 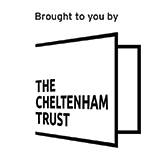 Find out about the opening times for all facilities at Leisure at Cheltenham including our swimming pools, sports hall, gym and Prince of Wales Stadium. We are please to be current official training provider to Cheltenham Town FC so look out for one of your local sporting heroes using the facilities at Leisure at Cheltenham. If you have to call 999 in an emergency you can ask for help without speaking. Our Easter multi activity programme has been a fantastic success and a great opportunity to get children learning new exciting sports. Yesterday they had a go at scuba diving, tag rugby in the sunshine and archery. © 2019 Leisure at Cheltenham. All Rights Reserved.